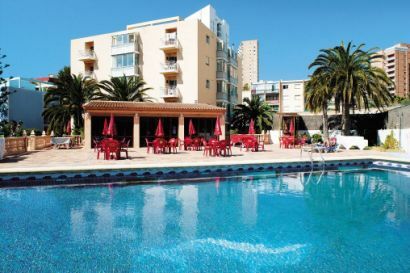 The apartments are only a few yards from the famous Levante beach. Comprising of 45 one bed-roomed apartments which are suitable for 2/3 people offering holidays on a self catering basis. Kitchen facilities include a toaster and two-ring electric hob.